2013 elections: What message are voters sending? The New Jersey gubernatorial race has 2016 implications. 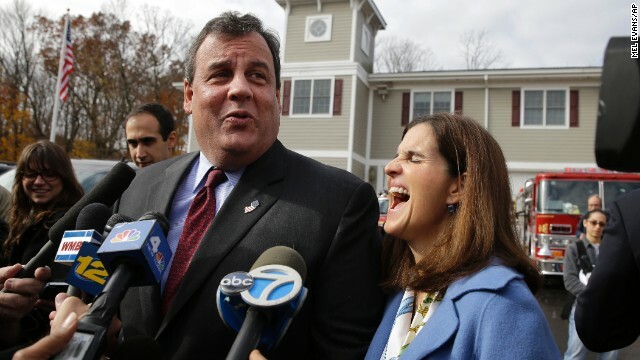 Is Chris Christie the Republicans best chance of broadening their base, or alienating it? And what does it mean if friends of the Clintons win in New York and Virginia? Democratic strategist Donna Brazile and Republican strategist John Brabender join Newt Gingrich and Van Jones for a 2013 election edition of Crossfire. We want you to weigh in: After tonight's results, how do you think the Tea Party will emerge? Vote by tweeting with Yes or No using #Crossfire, or comment on our Facebook post. View results below or through our Poptip results page if you are on a mobile device. The numbers talk,people want obama care.we need Hilary, 2016, to carry the torch for a continum of affordable health care. Republicans seem to support unregulated healthcare as nonprofit hospitals actually seem to make more money off indigent care since not regulated by managed care as those insured. Please keep the issue of orcas in captivity in public miind,until seaworld is closed. What the American people wants is effective, civilized government. We want the government that serves the interests of the people.